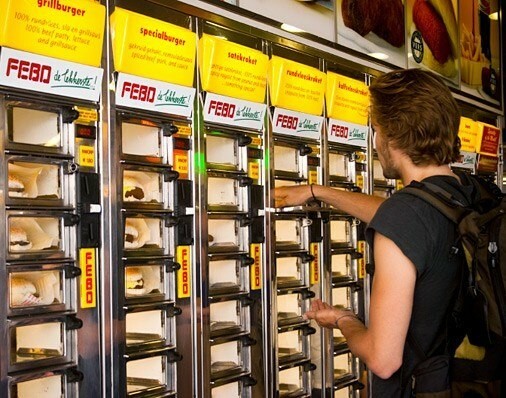 Home › BACON › Cheeseburger Vending Machines! Fries Too! 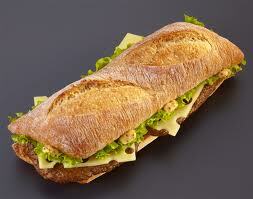 McBaguettes! Jimmy Page! 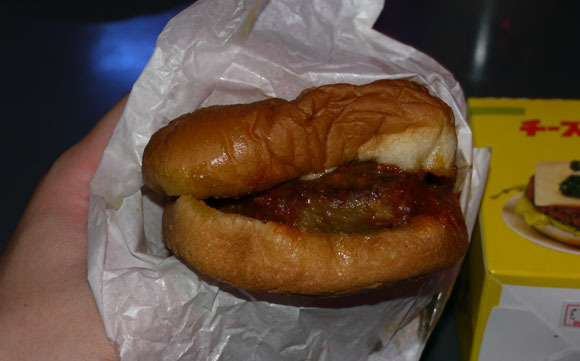 Burger News Galore! 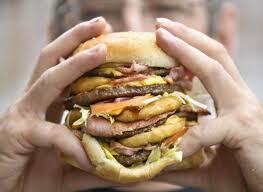 Who’s hungry for some crazy burger news? I know I am! 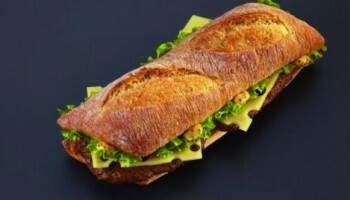 The McBaguette is expected to sell for about $5.88 U.S. – at the high end even for Europe’s more-expensive McDonald’s menus. Now check THIS out! Thanks for the website http://www.kirainet.com/english/ – a geek in japan! 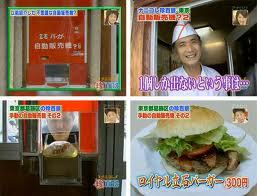 A hamburger restaurant in Tokyo has decided to put a hamburger vending machine at the entrance of the restaurant. 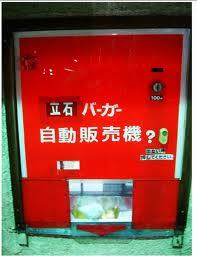 You put the coins and you get a hamburger right away. 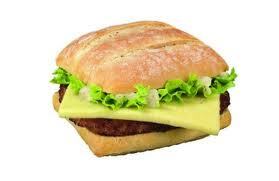 The problem is that there is only one hamburger available at a time, if you want a second hamburger you have to wait until the cook inside the restaurant restocks the machine with another one, or you can go inside the restaurant and order it. 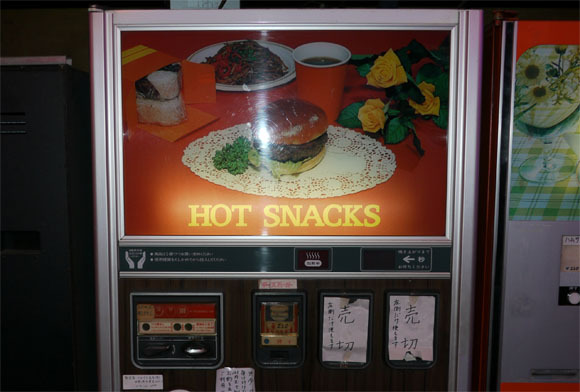 Rocketnews24.com website offers this: a hamburger vending machine at a drive-in eatery in Saitama prefecture in Japan. 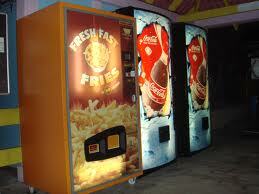 The vending machine can be found at “24 Hour Auto Restaurant Tekken Taro”, located in Gyoda city. 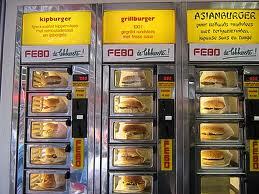 While this ‘restaurant’ is staffed, all food is offered via one of the many vending machine lined up inside. This is what they look like right before you eat them…enjoy! I found a search term on my blog that said “Led Zeppelin Eating Cheeseburger” and I thought that was funny, so I tweeted it. 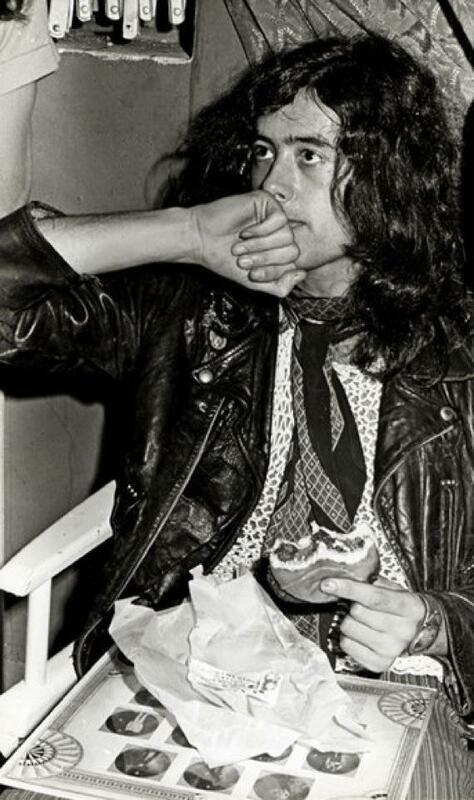 Rick Damigella immediately sent me this picture, of Jimmy Page eating a burger…THAT is the power of the internet! 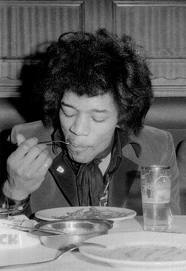 And I followed up with a search for celebrities eating, and found this picture of Jimi Hendrix eating soup, and Katy Perry eating a burger as well – don’t you love the internet? 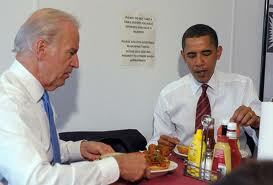 But of course the ultimate “hamburger eating” shot is this one: President Obama and Vice President Biden – looks good! 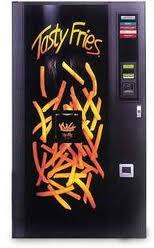 I love the hot fries in a vending machine, I wonder if the customer still tells the machine they’d like them to be hot?!?! 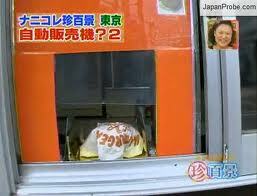 Cheeseburger Vending Machines! Bite Down Hard! 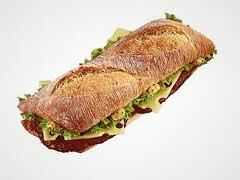 « Bite Eat Swallow!